Audiologists are healthcare providers trained in the hearing sciences. These specialists provide screening, evaluation, and treatment programs starting at birth. Our audiologists provide a range of services relating to permanent and temporary hearing loss, including diagnostic, rehabilitation, and outreach services. We perform complete audiological assessments using both behavioral and electrophysiological measures with state-of-the-art equipment and techniques. 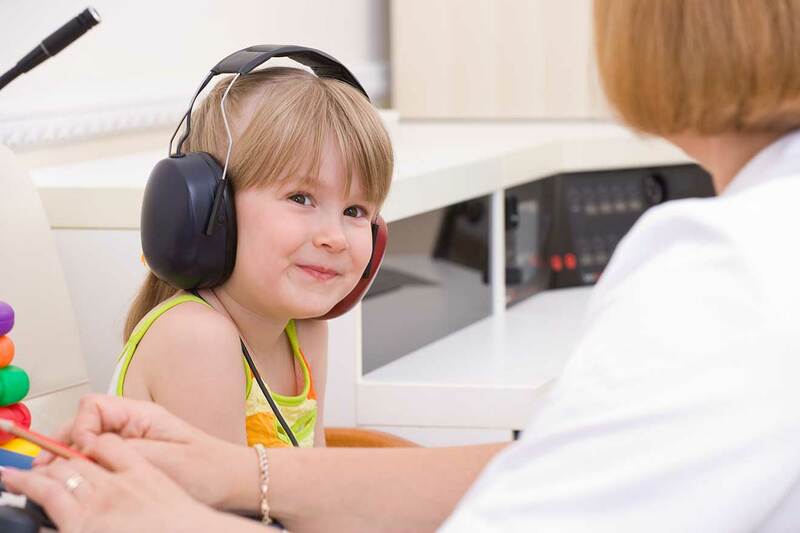 We also perform auditory processing evaluations, evaluations for hearing aids and other related devices, neurological ABRs, and balance testing (ENG/VNG). Our Cochlear Implant program serves adult and pediatric patients with severe to profound hearing loss. Your child would see an audiologist if he or she has problems hearing—either from birth or as a result of an illness or injury. Situated in this premier Medical Center, the Audiology Department routinely functions as an interdisciplinary practice. The department works closely with The Department of Otolaryngology, The Institute of Child Development, and the Genetics Service. Every baby at Hackensack University Medical Center receives a hearing screening before they leave the hospital. The type of hearing screening used to screen babies that are in the NICU is call an auditory brainstem response (ABR). This screening is performed by placing small electrodes on the baby’s head, putting small earphones into the baby’s ears and recording brain wave activity in response to the sound. The screening is safe, painless and is performed while the baby is sleeping. The hearing screening usually takes between 5 and 20 minutes to complete. Some reasons why a baby may not pass a hearing screening are: debris or fluid in the ears, activity or fussiness during the screening or hearing loss. For babies that do not pass the hearing screening while in the hospital, it is recommended that they have their hearing re-evaluated or re-screened within a few weeks. We realize it is difficult to be separated from your baby and although having a baby in the NICU can be scary and stressful, we are here to support you.